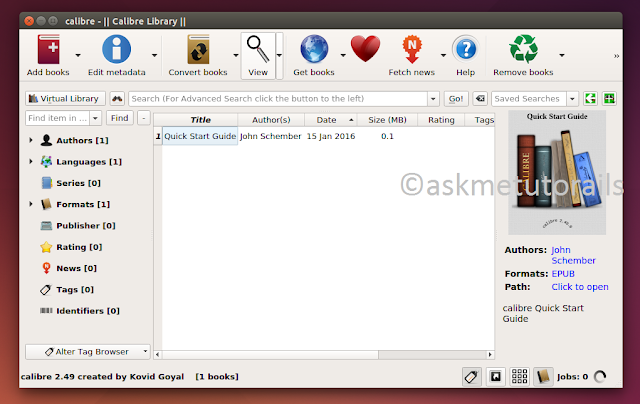 In this tutorial i will show you how to install the latest version of Calibre 2.49.0 in Ubuntu 14.10LTS and LinuxMint. Book viewer: Add an option to allow only a single book to be viewed at a time. Trying to view a second book will cause it to replace the currently viewed book. There is no official PPA for Installing the Calibre in Linux distributions,just copy paste the below commands in terminal .